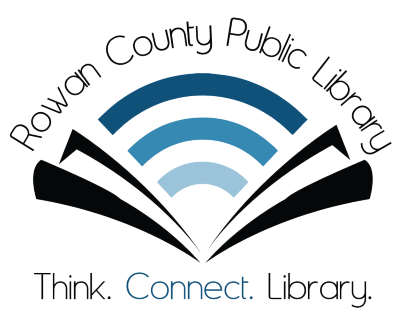 Your Rowan County Public Library is proud to celebrate diversity and inclusion through action as well as by providing queer/LGBTQ+ materials to our community. June is national LGBTQ+ Pride Month, so we here at RCPL are glad to offer our support to marginalized and minority identities from one end of the sexuality and gender spectrum to the other. Whether you are gay, lesbian, bisexual, asexual, aromantic, pansexual, transgender, genderfluid, etc., we invite you to visit us and check out our collection. Explore and discover books, programming, and more for youth, teens, adults, and seniors who identify as part of the LGBTQ+ community or who may be questioning their identities for the first time. There’s a lot to learn, and the world is always changing! Parents of queer kids and partners of queer adults can find materials that may help them better understand and connect with their friends and families, and educators are invited to browse our resources on better serving their LGBTQ+ students—even as we work on improving our own ability to serve all our patrons. We’ve worked with other organizations throughout our service area, region, and state to compile a list of links you might find useful all year long (not just during Pride Month). Be sure to check out the websites, blogs, and social media pages below! See a book on these lists that you want to read, but we don’t have it in our catalog? Request it! Item request forms are available at the front circulation desk and beside the suggestion box, to the left of our historical U.S. map. Unfortunately, Pride Month isn’t a time of celebration for everyone. Being queer/LGBTQ+ almost always comes with challenges, among which may be isolation, loneliness, fear, abuse, violence, and worse. Living true to yourself may not be easy for you; if you’re one of the many gay, ace, trans, bi, or other individuals that feels unsafe in your own home, around your family, at school, or in your community, there are people who care about you and who will listen or help. You are not alone.